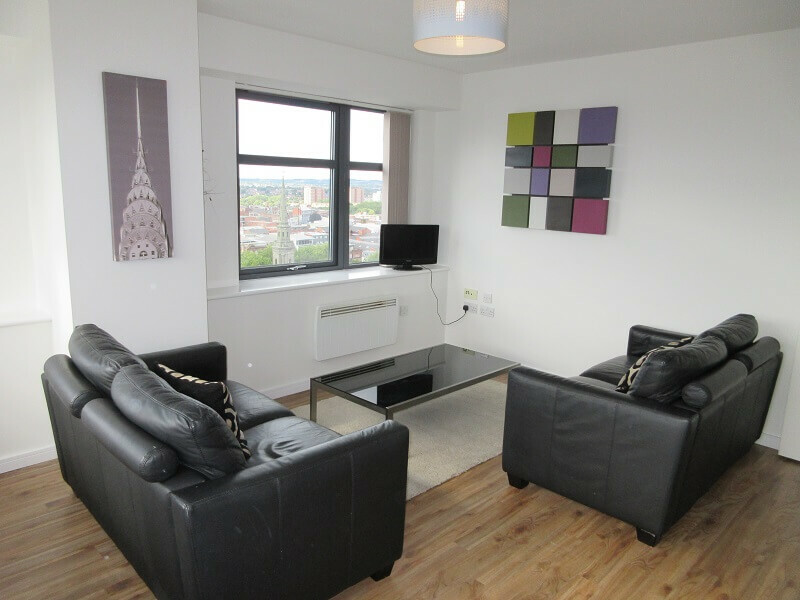 York Laurent are proud to present this attractive Two bedroom apartment in the popular Brindley House development. 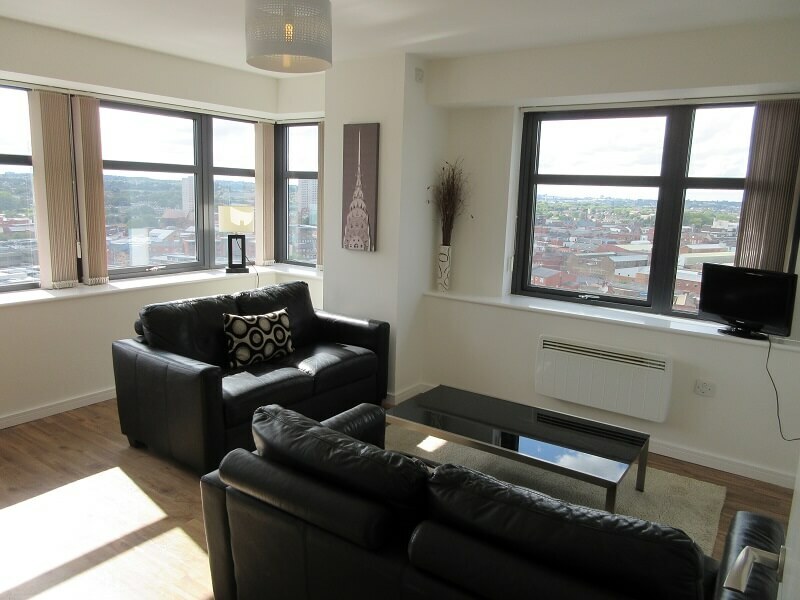 Situated on the 14th Floor the apartment benefits from large feature windows providing fantastic natural light levels and wonderful views including Birmingham’s famous St Pauls Square. 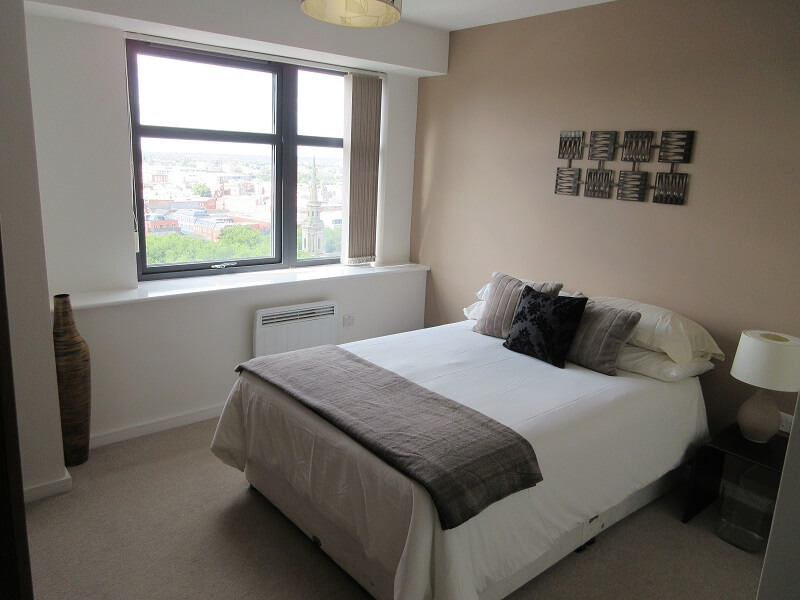 Accommodation in brief comprises of living/ dining room, fitted kitchen Two double bedrooms and modern bathroom. 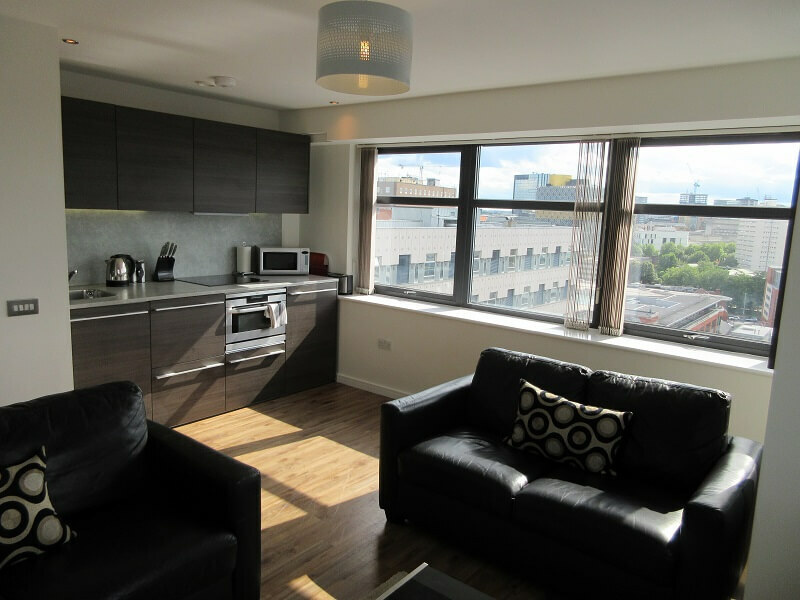 Brindley House is ideally positioned on Newhall street in the heart of Birmingham, close to St Pauls Square & ideally situated within easy walking distance of the commercial district of the city, Snow Hill Station, New Street Station and all the city’s retail and recreational facilities. 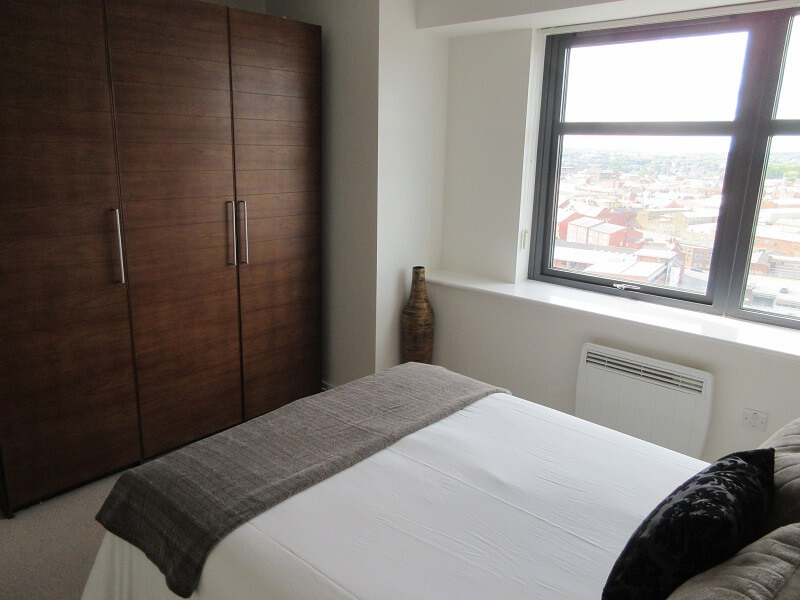 The building is well served by Birmingham Metro, City Link bus route and Jewellery Railway line and is within approximately a ten minute walk to the City Centre.  Reception Hallway 15’4” x 3’2” (4.707m x 0.985m) Wood laminate floor. 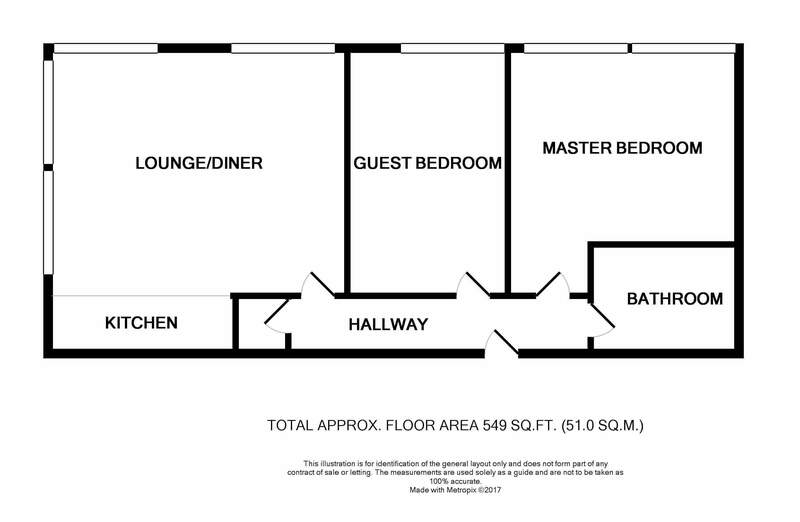 Dimplex wall mounted heater, ceiling light pendant, video entry phone, double wall socket, smoke alarm.  Hallway Cupboard – Water meter, Candy washing Machine, hot water tank, fusebox. 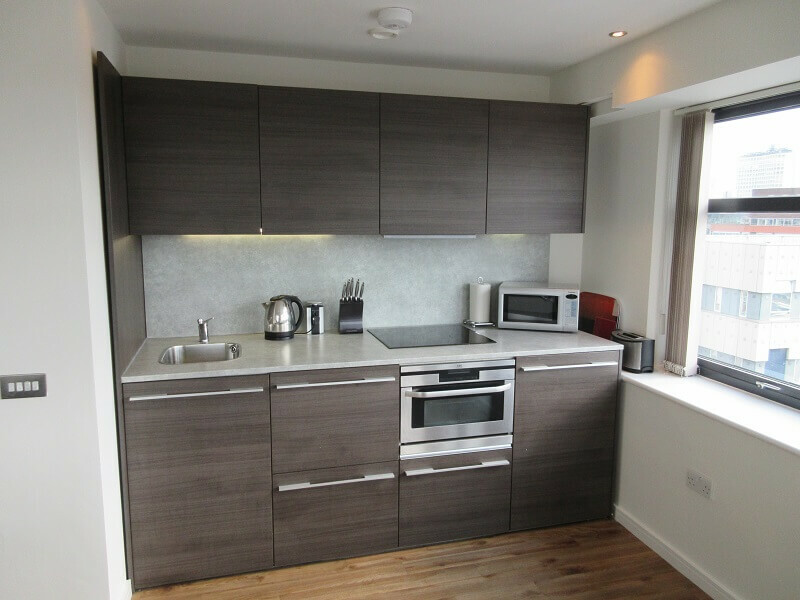  Fully Fitted Kitchen – Comprising of a range of high quality base and wall mounted units in dark wood veneer. 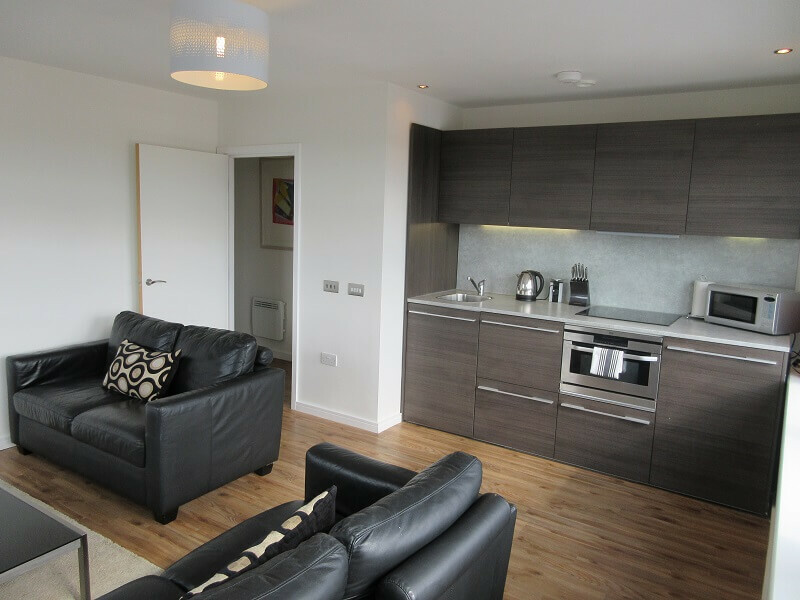 Laminate work tops with coordinating splashbacks, under lighting to kitchen units, concealed ‘Electrolux’ fridge freezer, stainless steel ‘Electrolux’ built in oven and ceramic hob, concealed extractor hood, stainless inset sink, chrome recessed downlights. Smoke alarm. 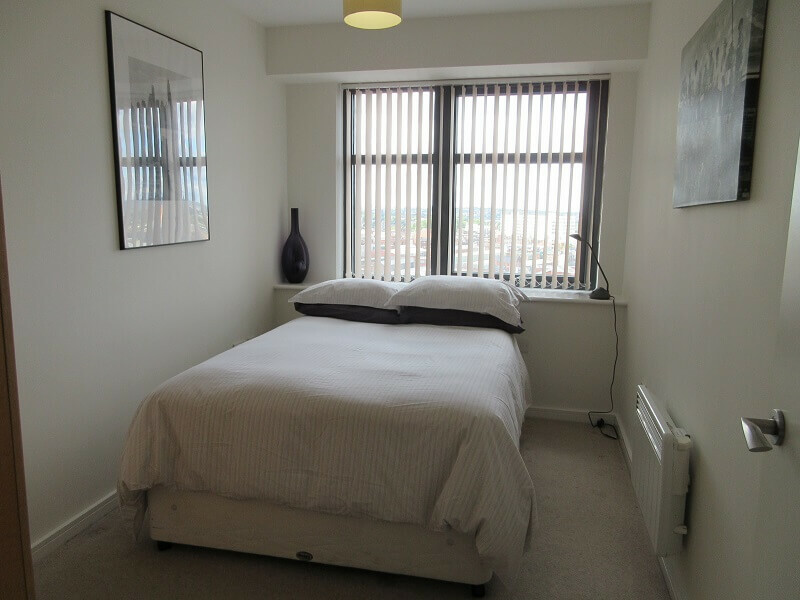  Master Bedroom 12’7” max x 11’9 max (3.864m x 3.617m) Carpeted, large double glazed window offering fantastic city views, Dimplex wall mounted heater, Double wall sockets, telephone point, TV socket, x1 ceiling light pendant. Triple wardrobe. 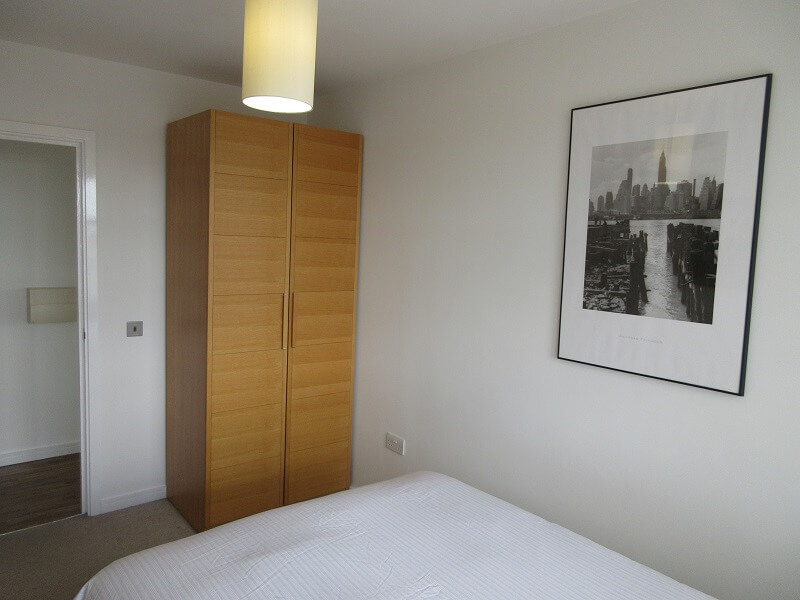  Bedroom Two 11’7″ x 7’7″ (3.578m x 2.349m) Carpeted, double glazed windows with good natural light offering city views, Dimplex wall mounted heater, double wall sockets, telephone point, TV socket, x1 ceiling light pendant. Double wardrobe. 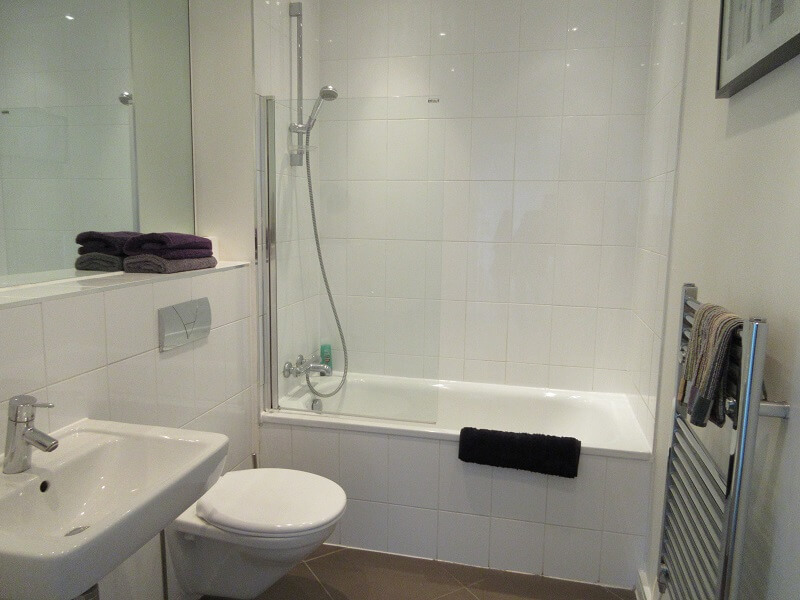  Bathroom 7’6″ x 5’8” (2.329m x 1.775m) Fully tiled floor, Matching white bathroom suite, W.C, wash hand basin with chrome hot and cold mixer tap, bath with chrome hot and cold mixer tap, shower over bath, shaver socket, chrome recessed downlights, chrome heated towel rail, inbuilt mirror, extractor unit. 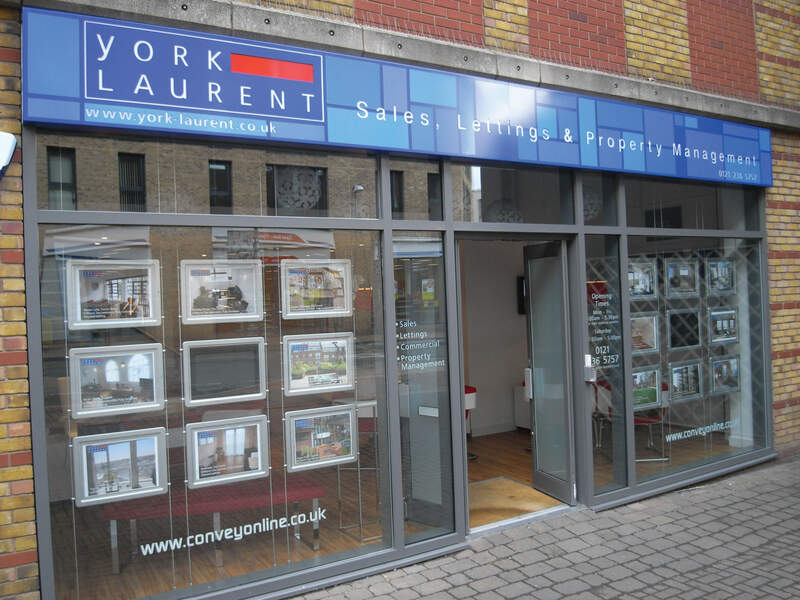 Fixtures and Fittings – Only those items mentioned in the sales particulars are included. All others are specifically excluded but all items are available by separate negotiation.